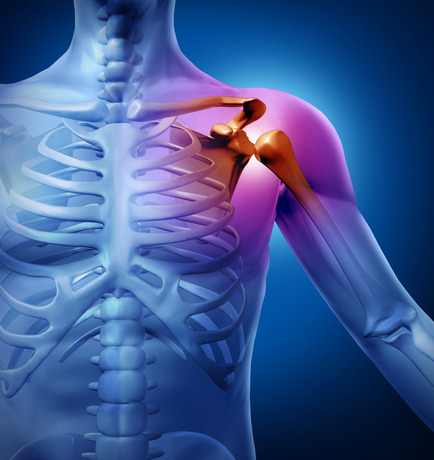 The term frozen shoulder describes a wide variety of restrictive shoulder disorders and is also known as adhesive capsulitis, adherent bursitis, pericapsulitis, obliterative bursitis and periarthritis. Treatment is normally manipulation of the joint and physiotherapy can be required to resolve the lack of mobility. Frozen shoulder very debilitating. You really can’t appreciate how important and how much you use your shoulders until you suffer with frozen shoulder. It is literally frozen, the movement from the shoulder completely disappears. The first thing that most people notice is pain and stiffness in the shoulder. It is can really affect anyone at any time, but most commonly is diagnosed in people between 40 and 70 years of age. Women are slightly more inclined to suffer with frozen shoulder than men. The shoulder gives us a huge range of motion, which allows us to move our arm and hand in a variety of positions and complete complex tasks. The shoulder is able to perform these functions because of its shape, the shoulder joint is a ‘ball and socket’ joint. The cause of frozen shoulder is still somewhat a mystery, we do know the condition begins with initial pain, following by loss of range of motion which normally then starts to recover. Frozen shoulder is a slow and progressive condition. Symptoms of the disorder can take up to a year to fully develop, with the pain levels increasing over time. As chemical changes take place in the shoulder joint, thick strands of tissue called adhesions form and begin to restrict mobility. The lubricating synovial capsule in the shoulder joint thickens and provides less lubrication. By the time the sufferer begins to notice a significant issue in lack of mobility, the disorder has set in and requires treatment. Chiropractic therapy for frozen shoulder can produce the results you need and resolve your frozen shoulder. Our staff will evaluate your baseline range of motion and pain level to develop a plan tailored to you. Coupled with treatment for inflammation in the joint space, patients can see improvement over a period of time and resolution of the disorder.